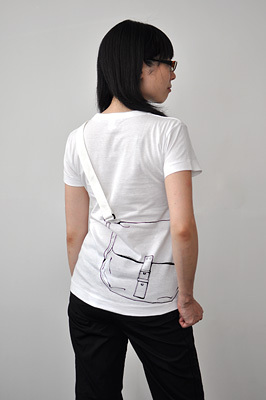 You can also hang the strap down. 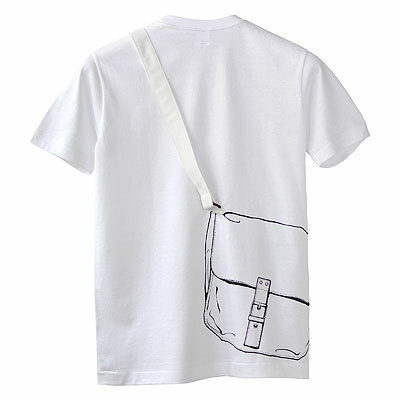 You look like wearing a shoulder bag, when you wear the T-shirt. 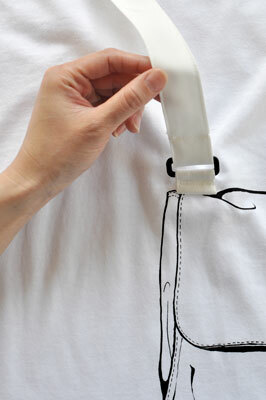 Strap is sewn to the T-shirt, via the plastic ring inbetween. 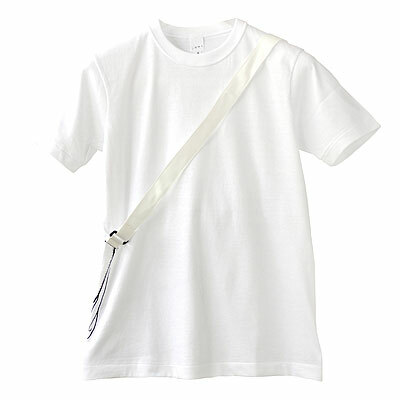 The top of the strap is cotton, and the flip side is rough fabric. Front view: It looks simple, but something funny. 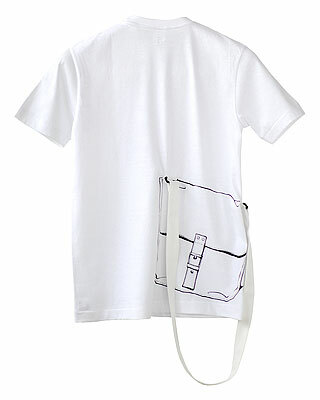 The illustrated bag and the real strap are connected via plastic ring. 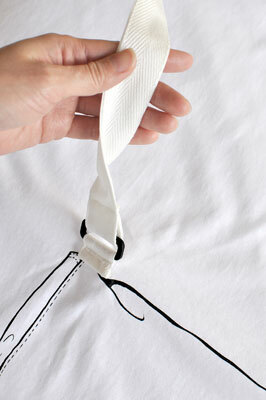 And the strap is made of the combination of silky cotton (top) and rough fabric (bottom). Those details make it real. 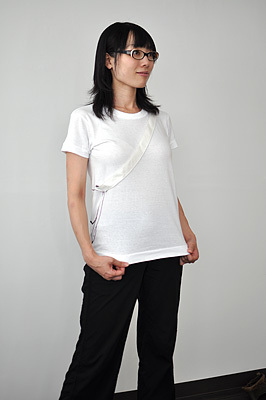 We recommend to wear it with the strap hang down. 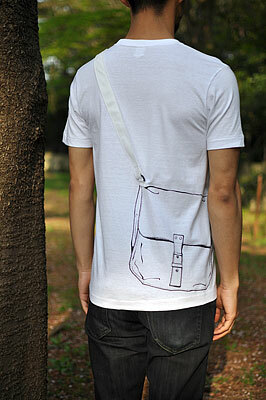 Especially for the empty-handed outing. 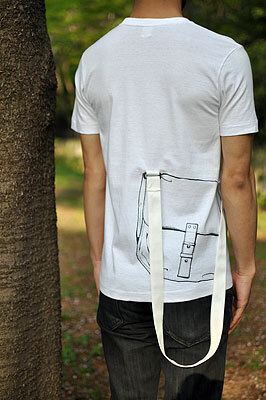 "Shoulder Bag" T-shirt is the best for hanging out empty-handed, with just some coins in a pants pocket.